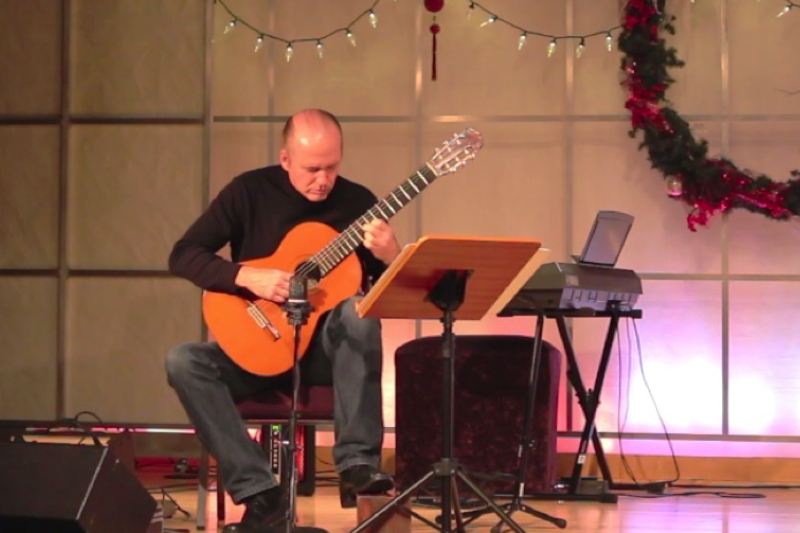 Mark Godwin, an instructor at Jubilee School, gave a solo Christmas performance with his guitar during a Sunday worship service at Jubilee Church in Nashville. He played popular Christmas carols, including “Silent Night” and “We Three Kings of Orient Are,” in arrangements for classical guitar. The songs were performed around a sermon about Jesus’ birth, thus enhancing the Christmas experience for the congregation. Godwin is an adjunct instructor of guitar at Jubilee School. Since early this year, he has been teaching classical and contemporary styles of guitar. He is also an instructor at Belmont and Lipscomb University. Jubilee School is Jubilee College of Music's extension campus in Nashville.